I’m humbled and honored to be nominated for The ‘Mystery Blogger Award’. With a sincere heart, I would like to thank Time and Reflections for nominating me for this amazing award. 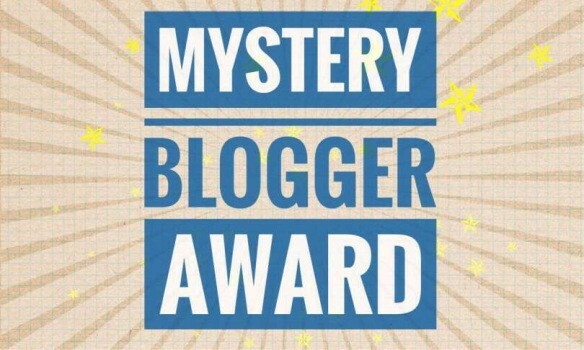 “The ‘Mystery Blogger Award’, an award for amazing bloggers with ingenious posts. Their blog not only captivates; it inspires and motivates. They are one of the best out there and they deserve every recognition they get. This award is also for bloggers who find fun and inspiration in blogging and they do it with so much love and passion” – by the creator of this award OKOTO ENIGMA. I am a daughter to a King and have an authentic and intentional relationship with Him. I love Jesus more than anyone or anything. My deepest desires are to serve and grow His Kingdom to make Him famous. I’m in love with my fiancé, Mark Spencer Williams. I love and cherish my three boys Tyler (daughter-in-love Gabi and gbaby Finn), Kyle (Chelsea), Cheyenne, and Travis (Stella Mae) and our dog Maddie. I am a breast cancer survivor thriving through the experience and giving all the glory to the Lord for His complete and total healing. Who is the one person who has encouraged or influenced you the most to write? What inspires you to write (a memory, a photo, a word, a topic, an emotion)? What is the #1 item on your “bucket list”? What are you most proud of about your life up to today? What made you laugh so hard you had to spit out whatever was in your mouth? The pieces I have written come from the inspiration God puts in my Spirit. He is the Author and the Teacher. Forever grateful He allows me the opportunity to learn, and faithfully remain the student He calls me to be. 1. What is the most unforgettable memory of your life? Aside from the birth of my three boys the most unforgettable memory of my life is the evening the love of my life, Mark Williams, proposed to me February 10, 2017. It was the most magical moment I will treasure until I take my very last breath. I can’t stop smiling! 2.What is your favorite outdoor game? My favorite outdoor game is football, primarily the NFL, but I love K-12 and college ball too. 3.When and where was the last time you had a get together with your family? The last time we got together as a family was Christmas 2016 in Texas. 4.What is the most important thing or person in your life? Jesus is the most important person in my life followed by Mark and our children, Tyler (his bride Gabi and grandson Finn), Kyle, Cheyenne and Travis. I love my family! 5.Have you ever slapped a girl or a boy or anyone else? I’m sure when I was a kid I slapped my older sister. You do that to family that you love right!?! Thank you for all your support and love. You all, the blogging world, have embraced me and encouraged me to share what God is putting on my heart. I appreciate your time, your feedback and your following. You have no idea how much you bless me and I thank God for you! Congratulations to you for the ward! I’m happy for you, it’s wonderful! This “blog page” is so awesome. You’ve had some much sadness in your life (I can tell from the events and thinking I can see behind the scenes) and yet you’re so positive. No where do I set any crisis of faith or doubt. You inspire me so much, I have to fight back the tears. I wish – no I need to turn my attention to God and Jesus as you have. I have two rocks that I carry around with me. Inscribed on these rocks are “Forgive” and “Trust”. I need to add “Faith”, “Integrity”, and one more. I haven’t found THE word that describes my adventure with my journey with God, Jesus, adversities, and love. Can you think of one? Other than God and Christ, but encompasses them? Serenity? Peace?, Kindness, hopefulness, joy, patience, long-suffering, goodness, gentleness, self-control? How about Galatians 5:22-23? One word would be better since I have to have these special made.